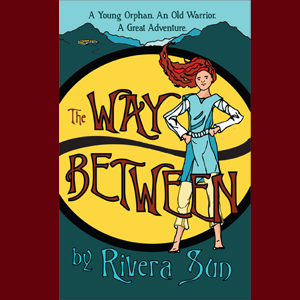 The Way Between is a thoughtful story which infuses rich fantasy and nonviolent action principals, together. This combination not only draws you into the storyline to learn more about the characters and how they intertwine with both their shared and individual history, but also allows you to reflect on the act of nonviolent advocacy in an illuminating way. The imagery throughout the book is vivid and telling, which lends an exceptional integrity to the painting of the landscape, as it were, in words. Many children and young adults will find themselves relating to Ari Ara, and most certainly will enjoy being pulled into her story as it does deeper. I am thankful that this book can sit alongside the likes of Lord of the Rings and The Hobbit- with a similar feel, but exhibiting an intricate message of nonviolent action, and how it can overcome hostility. I commend Rivera Sun for giving such a strong and resonant voice to this movement, and for including young readers with her message! The character development and interpersonal relationships which were outlined in the story definitely made you think about how the series will continue to develop. You get a sense of anticipation in watching these developments ripple out in positive ways within the bigger storylines as the lessons for our lives unfold. The message of the Middle Way is an important one, one which should be taught to our young generation as a viable alternative to aggression and violence. This book is written in such a way as to bring up thought- provoking discussions around the material it presents, and would be perfect for a class or discussion group. In this way, the readers can delve deeper into what it means to live a life committed to nonviolence in a very practical sense.